At 39 weeks pregnant my little Pip is about the size of a watermelon. She (yes, it's a girl!) is between 19-21 inches long and could weigh between 7-8lbs now. Here's what's been going on during my 39th week of pregnancy with baby number three. I have always been someone who loves to cook and nine times out of ten I cook completely from scratch. I rarely use ready-made sauces and when I'm not cooking from scratch it's because we've ordered a takeaway! 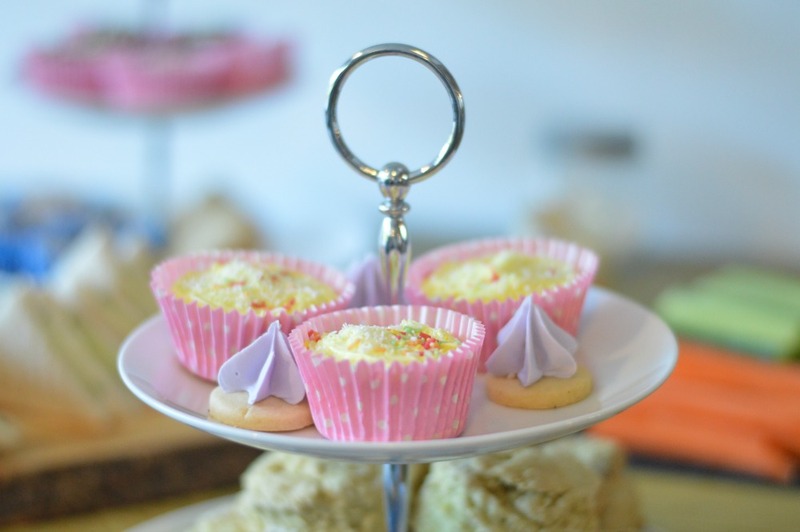 However, with a new baby due any day now, and a hungry brood to feed, I have been thinking of ways I can make life in the kitchen a little easier. 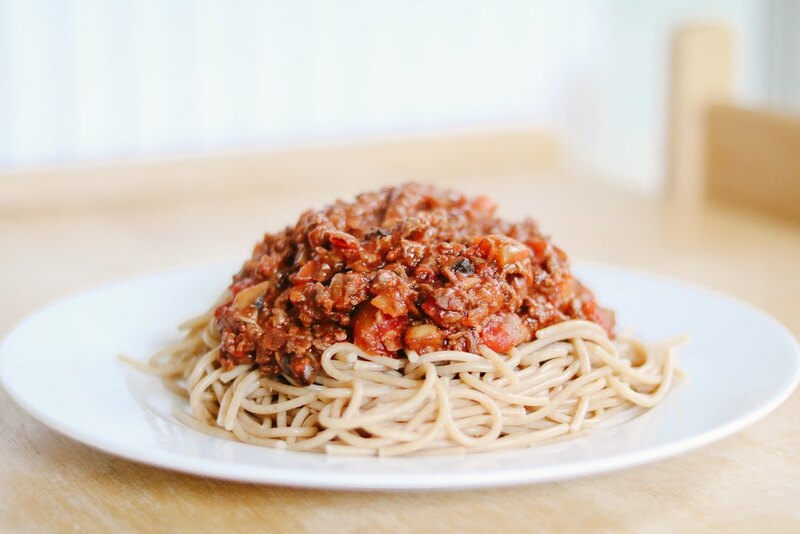 So when I was offered the chance to receive a hamper of ingredients to come up with some mid-week family meals using Dolmio Bolognese sauce the timing could not have been more perfect! At 38 weeks pregnant my little Pip is about the size of a pumpkin. She (yes, it's a girl!) is over 19.5 inches long and could weigh around 7lbs now. 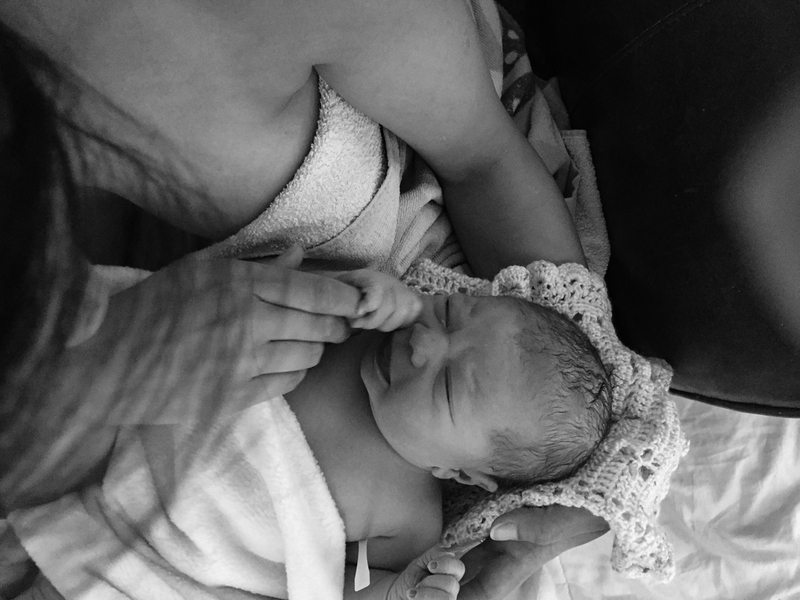 Here's what's been going on during my 38th week of pregnancy with baby number three. 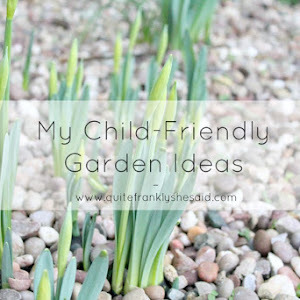 Last spring, I featured some children's clothing from a fabulous independent brand, Ted Wears Organic. 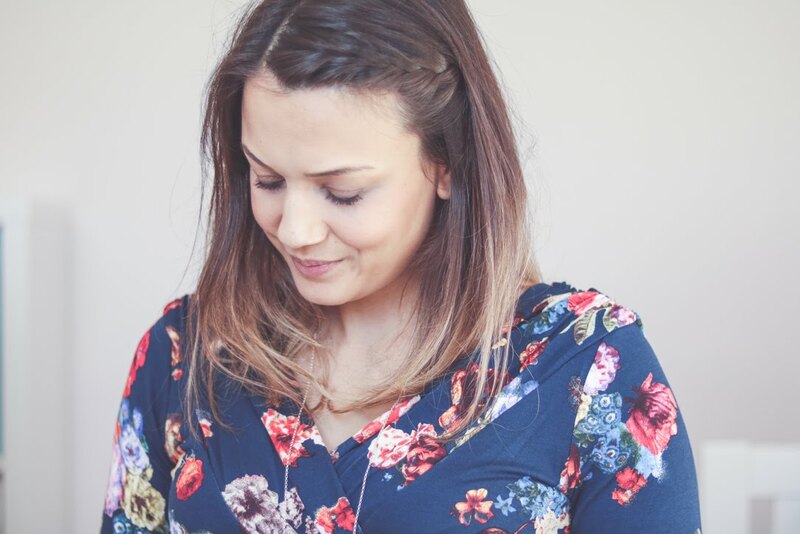 Vicky is the brains behind the brand and it's been wonderful to watch her business grow over the past year and seeing lots of bloggers and friends showing off TWO clothing on Instagram. 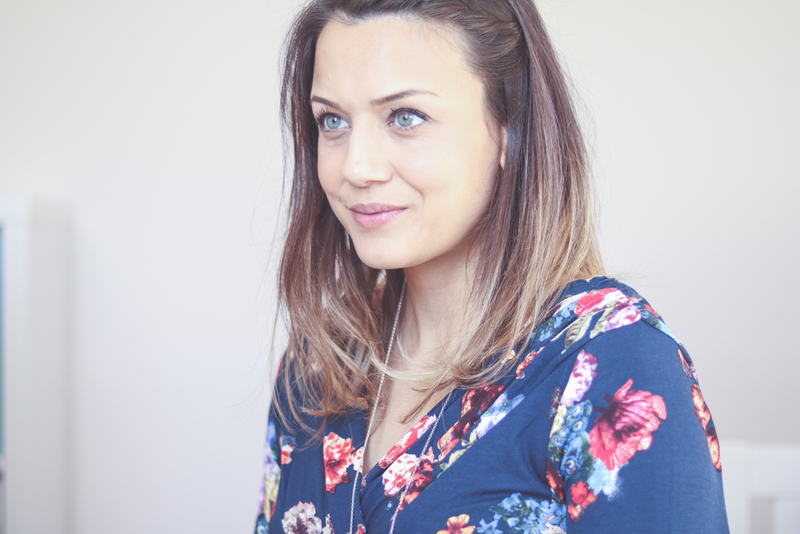 We were over the moon to receive another piece from the ever growing gorgeous range to review: the Lioness jumper. 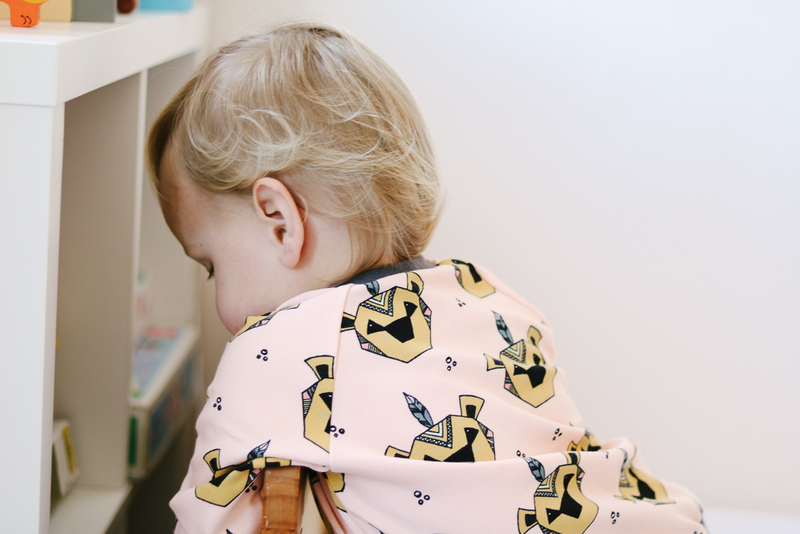 Being a mum herself, Vicky has always understood the need for practical, hardwearing clothes for children and for eco reasons loves working with organic cotton, which the range is all made from. 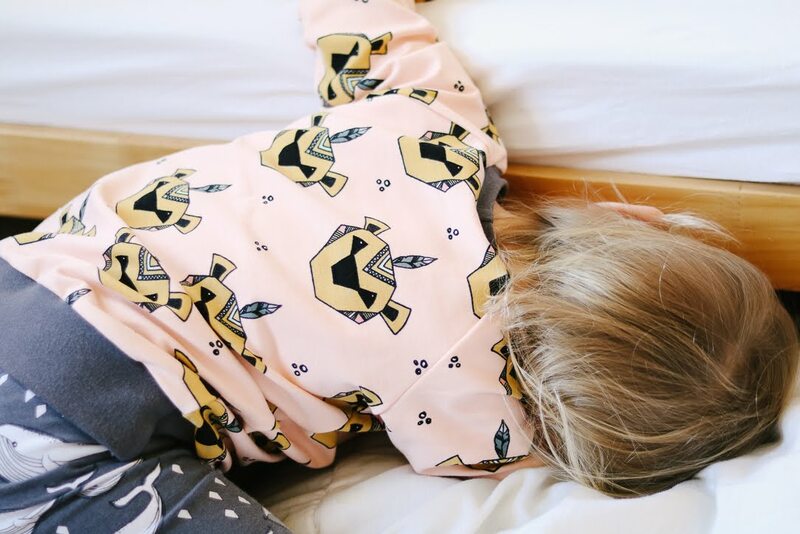 The prints are all bang on trend and very Scandi-style so little ones look good as well as feel good in her clothes. The Lioness jumper is part of the Ted Wears Organic Pick'n'Mix Wardrobe and can be tailored to what you want, as well as matching up with the harems, leggings, maxaloones, skirts, hats and headbands in the range. It is made with 95% organic cotton and 5% elastane, so it's comfy and cool and has a little stretch to it, too. The fabric of the jumper is ever so slightly thicker than the rest of the range, so it is perfect for cooler days. The Lioness jumper features a geometric style lioness print on a pale coral pink fabric. The jumper can be paired with all sorts of options for the collar and cuffs: black, white, caramel, pink, mint and grey. Jude's jumper has a grey collar and cuffs and I think it's the perfect combination. Who doesn't love a cool pink with grey? Having had Ted Wears Organic clothing in the past I know it wears and washes well. In fact, the pieces we had last year for Noah have since been passed on to Jude, and Jude still fits his maxaloones. 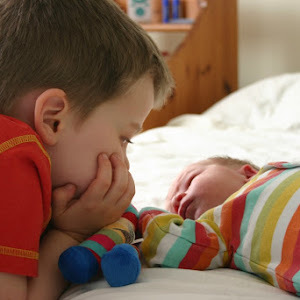 Sustainable clothing is important to me, not just to save money as a family but because I want to reduce the impact we have on the environment, so anything that can stand the test of my two boys AND be passed down is a winner! The price of the Lioness jumper starts at £16.00 and it is available from size 3-6 months through to 5-6 years. I find the sizing is true to size with a little room to grow; Jude is 2.5 now and wearing size 2-3 years. To see the rest of the Ted Wears Organic range head over to the Etsy shop. You can also find Ted Wears Organic on Instagram and Facebook. And if you use discount code LIONESSMAMA you can get a sweet 15% off! With thanks to Ted Wears Organic for sending the jumper to feature. At 37 weeks pregnant my little Pip is about the length of a bunch of Swiss chard. She (yes, it's a girl!) is about 19 inches long and weighs well over 6lbs now. Here's what's been going on during my 37th week of pregnancy with baby number three. 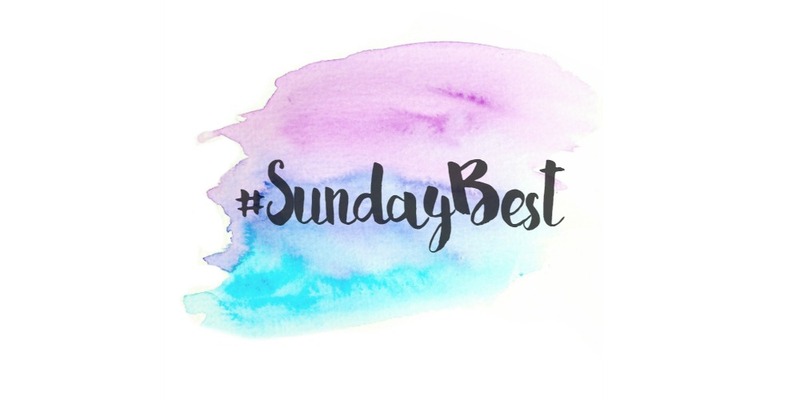 For the past four months I have been using the Secret Saviours anti-stretch mark band, day gel and night cream after being sent them to trial as a blog ambassador. As the weeks passed, I have been taking bump photos to show how my bump is growing and to see if any stretch marks have developed across my skin. If you want to see if Secret Saviours secretly saved me from stretch marks, then carry on reading! Review: Secret Saviours - did it help to prevent stretch marks? At 36 weeks pregnant my little Pip is about the size of a papaya. She (yes, it's a girl!) is about 19 inches long and weighs well over 6lbs now. Here's what's been going on during my 36th week of pregnancy with baby number three. 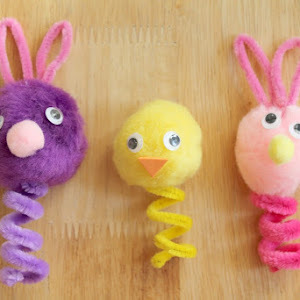 Have you ever heard of Group B Streptococcus (Group B Strep or GBS)? Whilst I had briefly seen it mentioned in a magazine once during my first pregnancy, I didn't really know much about it. 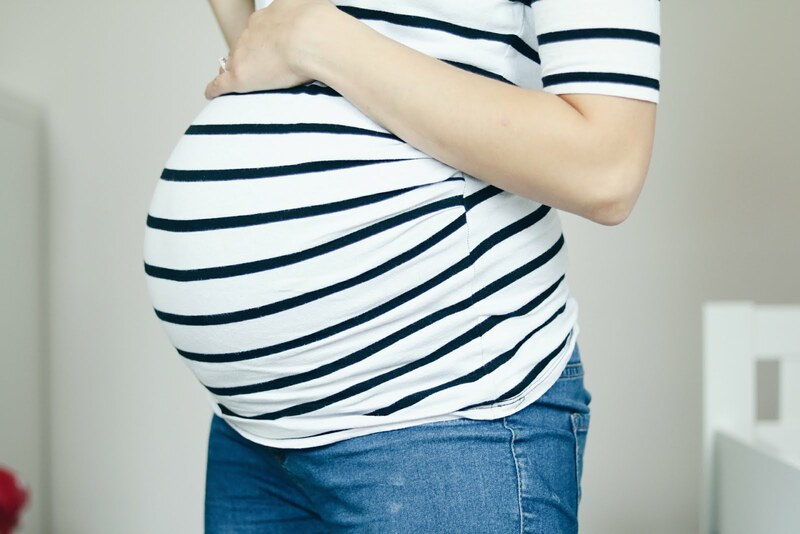 I've never been told about it by my midwives or consultants, yet up to 1 in 4 of all pregnant women are carriers of Group B Strep. At 35 weeks pregnant my little Pip is about the size of a bunch of carrots. She (yes, it's a girl!) is nearly 19 inches long and weighs over 5lbs now. Here's what's been going on during my 35th week of pregnancy with baby number three. Pregnancy is such an exciting and busy time! I always thought I'd have all the time in the world to relish and enjoy it, but the truth is the weeks and months can pass so quickly that often I forget a lot of what has gone on. 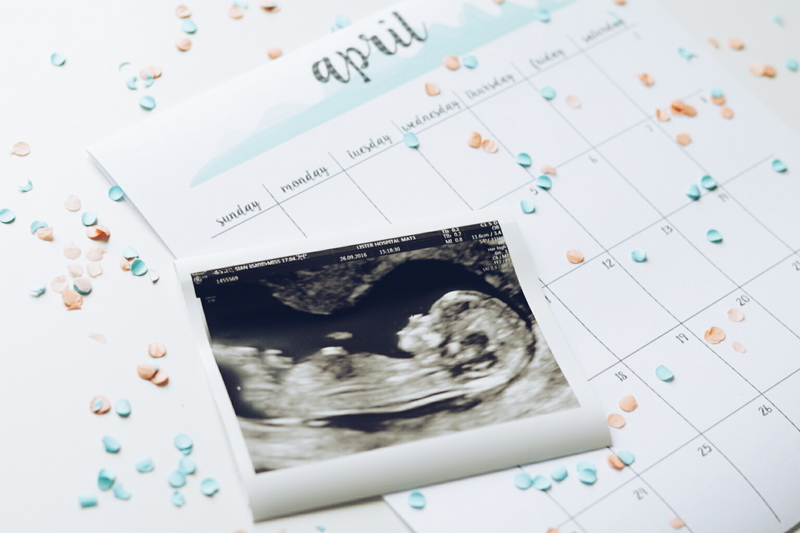 Documenting your pregnancy week-by-week or even month-by-month is a great way to be able to look back and remember it. 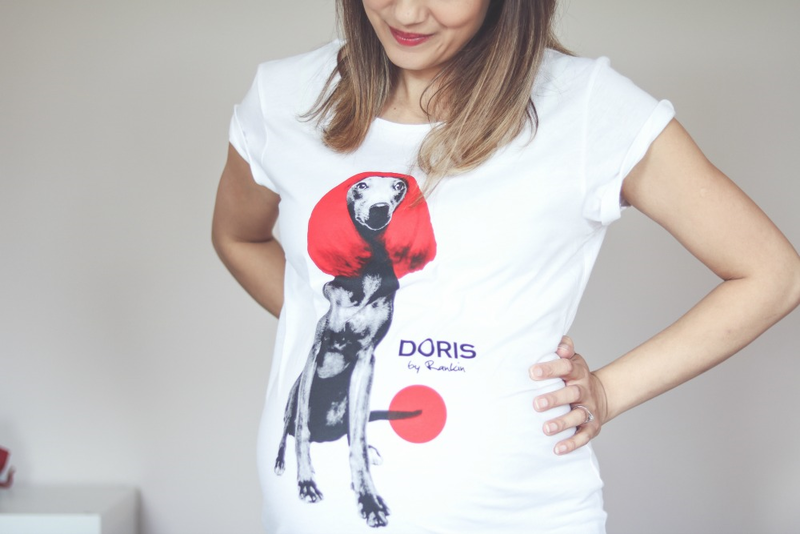 It's a special time, so here are five lovely, fun and creative ways to document your pregnancy. 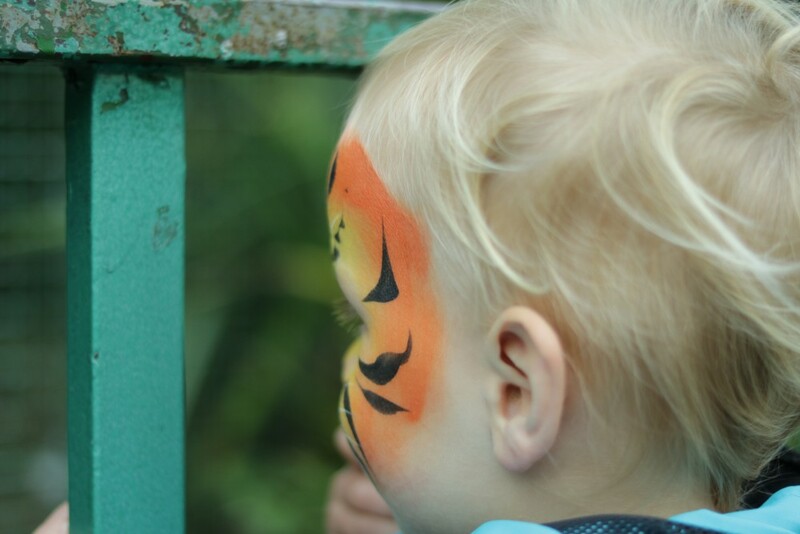 Since the start of winter, I have been one of Paradise Wildlife Park's blog ambassadors. The zoo based in Hertfordshire has a long history of doing incredible conservation work over the past three decades and I was delighted to hear the news that they have this year secured charity status! They will be celebrating the launch of the Zoological Society of Hertfordshire (ZSH) on April 1st with the opening of a new state-of- the-art ‘Penguin Falls’ enclosure for critically endangered African Penguins. 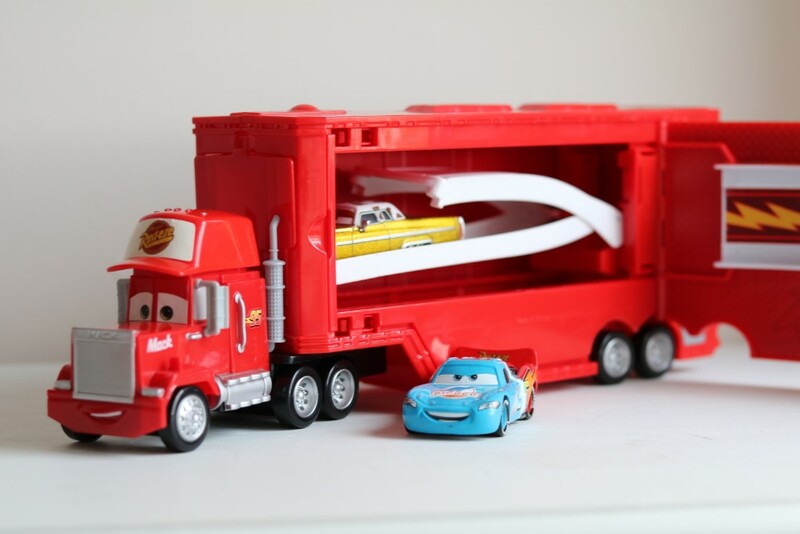 Like most children, my boys are crazy about toy cars and trucks and were over the moon when they were sent the Disney Cars Mack Truck Playset to review and some Disney Cars vehicles of the characters Lightning McQueen and Tex to play with it. And with the baby's arrival just a few weeks away it was great timing for me, as it will be a fab toy to keep them occupied when I am busy feeding or settling the baby when she is here! At 34 weeks pregnant my little Pip is about the size of a cabbage. She (yes, it's a girl!) is nearly 19 inches long and weighs nearly 5lbs now. Here's what's been going on during my 34th week of pregnancy with baby number three. I mentioned in my last Mama Style post that I had ripped one of the pairs of my maternity jeans. I have been trying to get away with wearing them still and hoping that nobody notices, because it's been quite chilly and my poor legs get cold! On warmer days though, which we've had a few of, I am really loving wearing dresses. It's so nice to wear something other than jeans, and before I had children I was always in dresses! Once this baby is here I am making it my mission to make dresses a staple feature of my wardrobe. 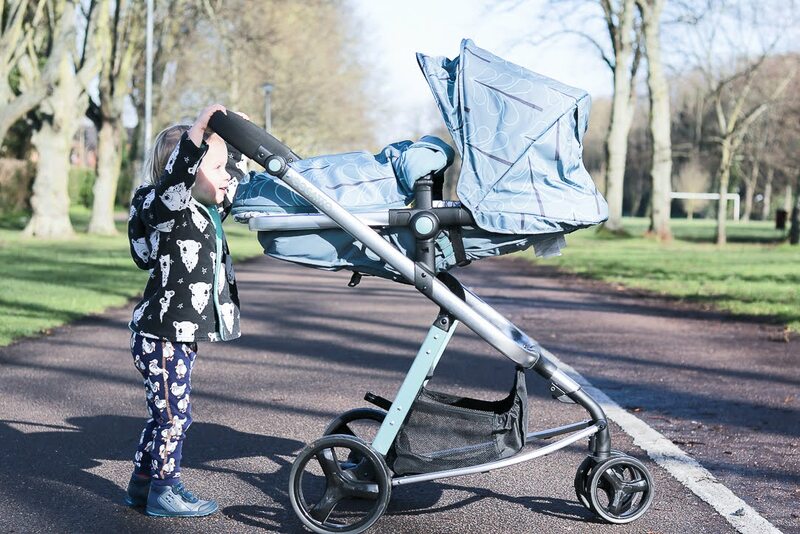 Choosing a travel system can be a bit of a minefield; there are so many different types and models available to choose from nowadays, let alone styles, patterns and colours! With my boys I played it safe with a black travel system. Robust and practical, yes... but rather boring, I have to admit. This time around I wanted something fun and stylish, as well functional. This is my last baby, so I want something special. Something that will turn heads. 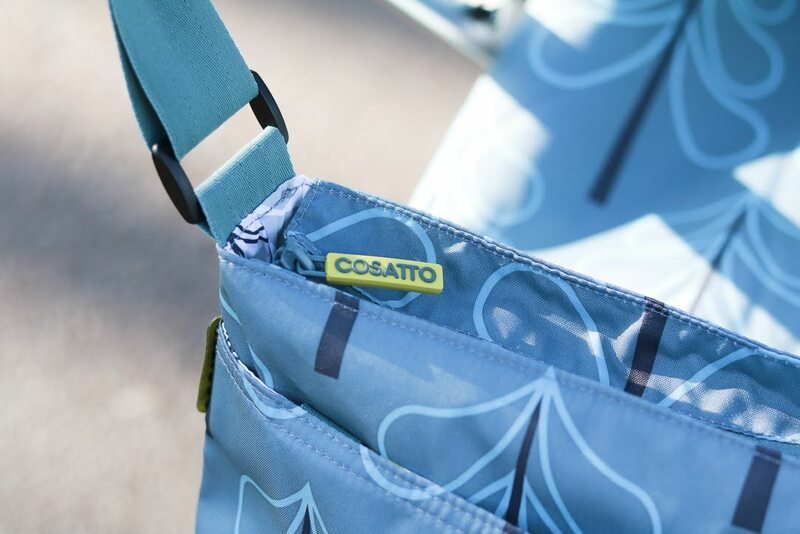 And when you think of fun and colourful brands, Cosatto is the first to come to mind! Having a lie-flat buggy or pushchair while babies are under six months old is really important, as they don't have an S shaped spine like adults. Instead their spines are curved in a long C shape when they are born, and later when they're able to sit and move around, their spines start to lengthen and change. Newborn babies need to lie flat in their prams or pushchairs for at least the first three months, so that their back is supported and protected, and also to help their breathing which can be compromised if they are scrunched up. With my boys I used a separate carrycot attachment for my travel system so that they could lie flat, but they quickly outgrew it, so I had to use the seat unit and completely recline it. 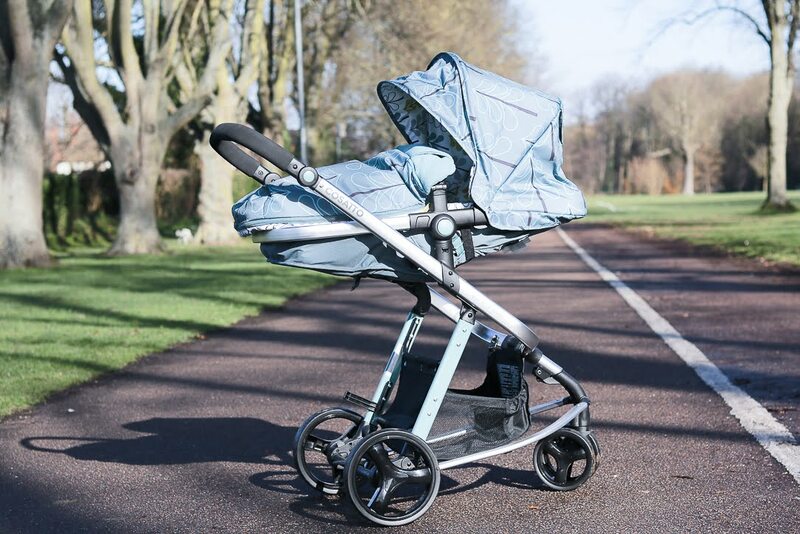 This time we have travel system from the fabulously stylish, British brand Cosatto. 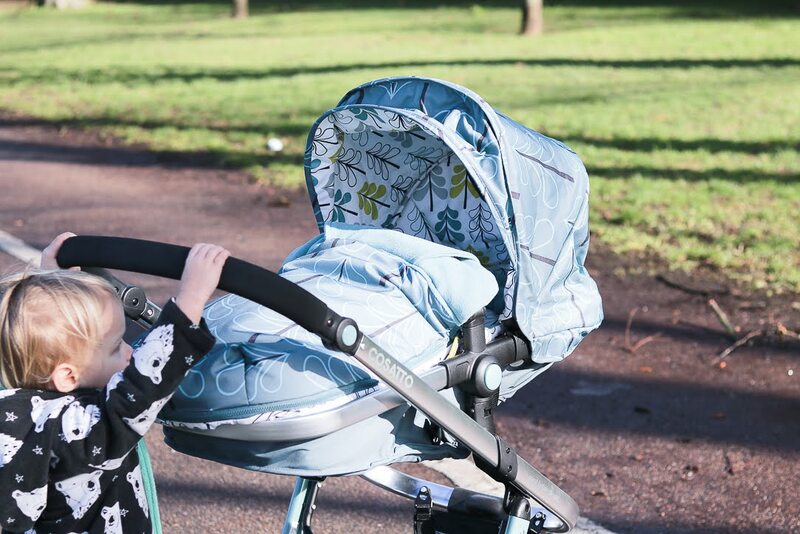 Cosatto's award-winning Woop is their streamlined 2-in-1 travel system suitable from birth to 15kgs, so lasts right into toddlerhood. 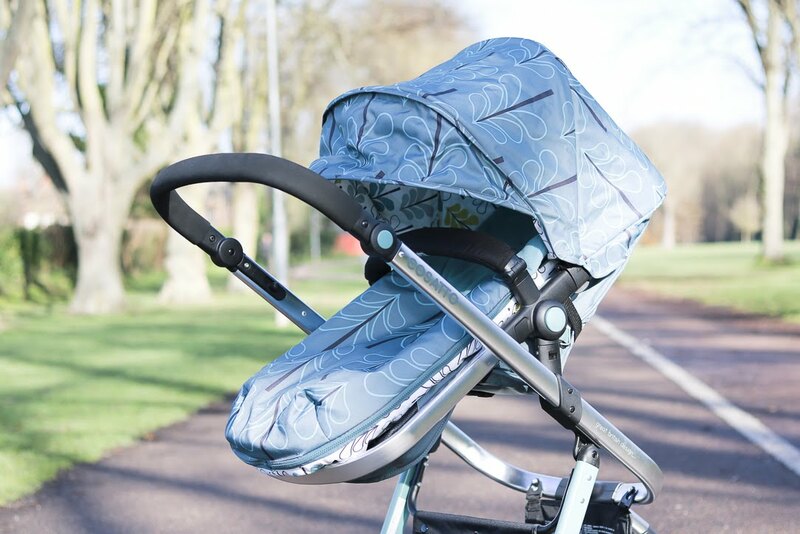 Instead of a separate carrycot, the clever seat unit can be fully reclined and by simply unclipping a strap, adding in the headhugger, and attaching the cosytoes (which come with it) it turns into a snug, lie-flat cocoon, perfect for a newborn. It also has adapters to attach their carseat, making it a complete from-birth system for getting out and about. I chose our Woop in Cosatto's beautiful Fjord pattern. I first saw this pattern when I was looking at prams and pushchairs at The Baby to Toddler Show in November. I fell in love with it immediately. 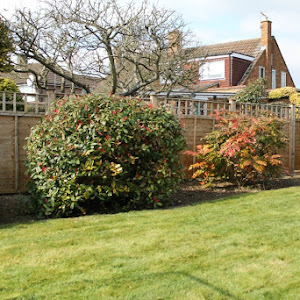 It's part of the Understated Collection, created for people who love colour and patterns and love the ethos of the brand, but prefer something a little subtler. I also have the Cosatto Port car seat in the Fjord pattern and I will be showing you that soon. 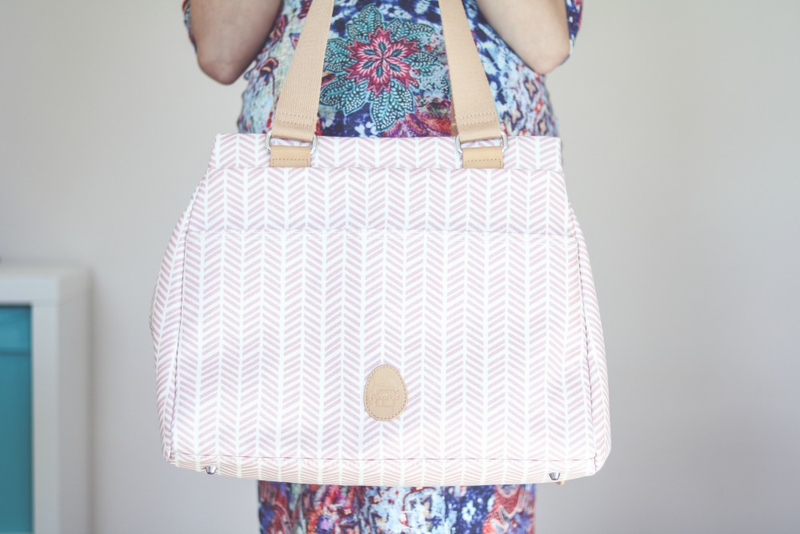 And you get a free changing bag with the travel system so even I can match too! Jude and I took the travel system out for a spin the other day and had a good go at clipping and unclipping, switching the seat around and trying it out in it's various positions. It is so easy to do! The seat unit can be attached both parent-facing and world-facing and has four different recline settings. Of course, while my baby is little she'll stay facing us, even once she is old enough to sit up in her seat. Once she becomes a more curious and inquisitive toddler we can switch her to world-facing so she can take in everything around her. As well as the convenience of only needing once seat unit, the other things I love about the Woop are its lightweight chassis. 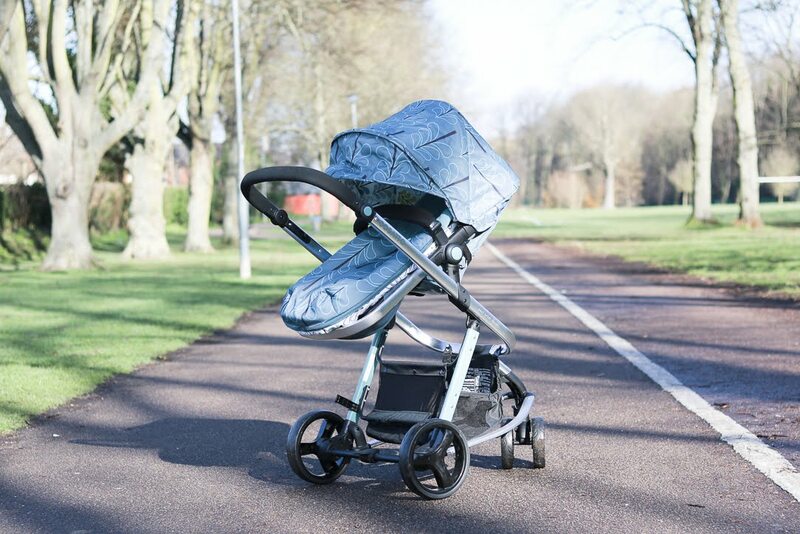 It can be collapsed with the seat unit attached, which is a huge plus over my last travel system, and the adjustable handlebar and removeable wheels means it can probably fit in the smallest of car boots. Boot space isn't usually an issue for me, as I have a Peugeot 5008, but with two boys and all their stuff, plus the shopping for example, being able to fit things in easily, quickly and neatly is a must! I have always loved three-wheel systems; I find them so much easier to handle and they're great for nipping through busy crowds and are especially good for getting around small shops like we have in the town I live in. Even Jude found it easy to push! He can't wait to be a big brother, I'm sure he will want to help pushing the baby along. The basket underneath is a decent size, ideal for putting a few groceries when I have to pop to the shops or for the boys to put their things. And of course it comes with its own raincover; a must if you live in the UK! I'll be updating you on how we get on with our Woop at various stages of use once the baby is here so do come back to see what we think - and make sure you're following me on Instagram as there will be a lot of babyspam coming up in a few weeks, eek! - The Cosatto Woop is £444.95 and during March you can get a free Hold car seat! 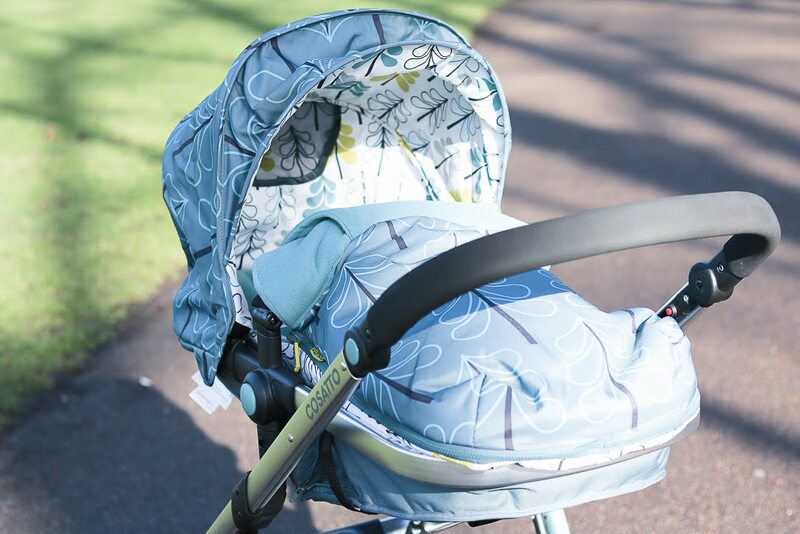 With thanks to Cosatto for sending us the Woop travel system - what a lucky baby! At 33 weeks pregnant my little Pip is about the size of a cauliflower. She (yes, it's a girl!) is nearly 19 inches long and weighs around 4.5lbs now. Here's what's been going on during my 33rd week of pregnancy with baby number three. Today has been a really fun day. 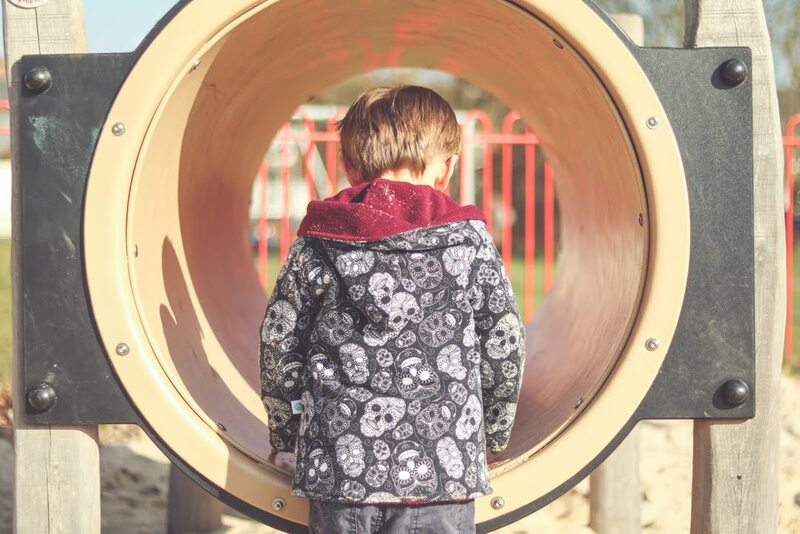 The boys had two parties to attend today: one for their friend's 5th birthday and the other to celebrate the one year anniversary of the opening of the Peter Rabbit Adventure Playground at Willows Activity Farm in Hertfordshire! 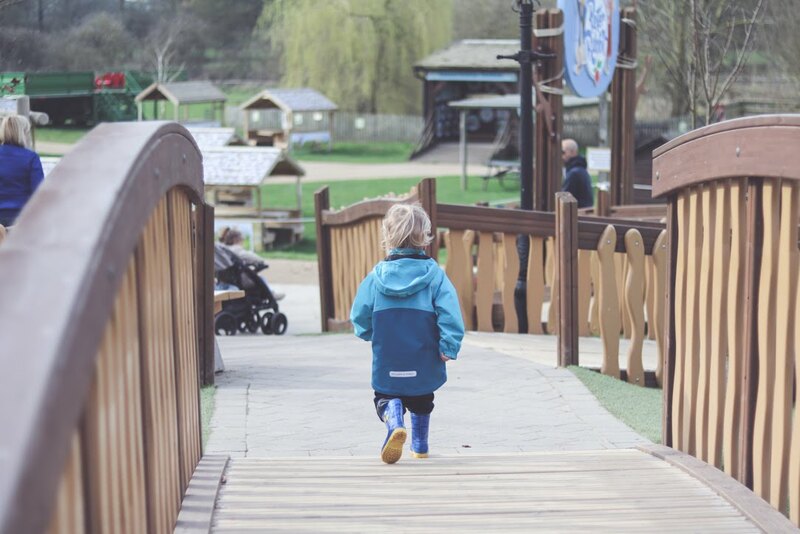 Willows, or the "Peter Rabbit farm" as Noah calls it, is one of the boys' absolute favourite places to visit and every time we go there is always something new to see. 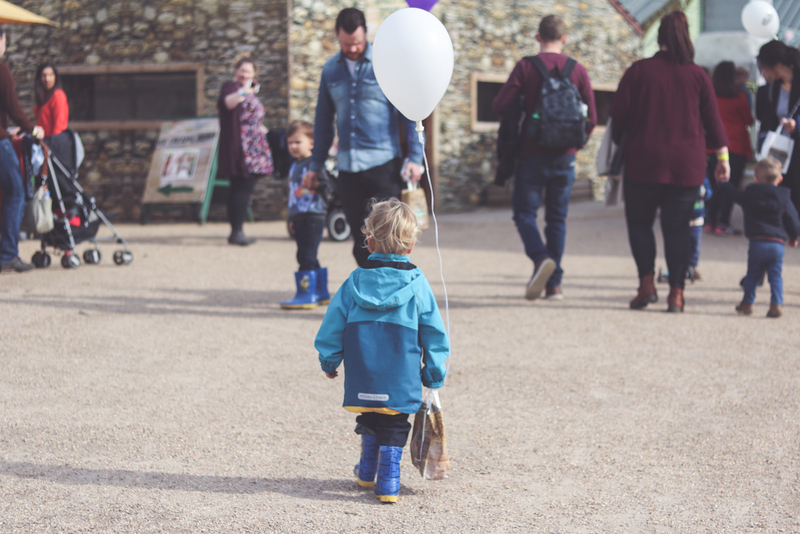 Days Out: Fun at the Willows Farm Peter Rabbit Adventure Playground anniversary party! When the weather is as gloomy and damp as it has been lately, we end up spending a lot of time at home. With Noah at nursery school and us stuck indoors, it's a good chance for me to spend a bit more quality time with Jude. He's really taken a shine to learning about colours and numbers lately, which is quite clever for a two year old I think, so I really want to encourage this. 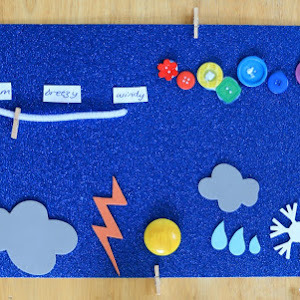 I've always been keen on learning through play, as I'm not someone who has the patience to sit teaching my children with flashcards and I don't think it's fun for them anyway, so Orchard Toys are games that we really enjoy. At 32 weeks pregnant my little Pip is about the size of a honeydew melon. She (yes, it's a girl!) is nearly 18 inches long and weighs around 4lbs now. Here's what's been going on during my 32nd week of pregnancy with baby number three. The other day I got a bit over enthusiastic when pulling up my maternity jeans and ripped them. They're over-the-bump ones and now there is a big hole between the denim and the over-the-bump bit of fabric. You might have seen my Instagram story if you follow me there. I have to admit, they were getting rather snug, but I was trying to avoid buying another pair as I don't have much longer to go in this pregnancy. Big oops! Oh well, spring is almost here and we've been teased with a bit of sunshine, so great timing to embrace dresses instead! At 31 weeks pregnant my little Pip is about the size of a romaine lettuce. She (yes, it's a girl!) is around 17.5 inches long and weighs over 3.5lbs now. Here's what's been going on during my 31st week of pregnancy with baby number three. 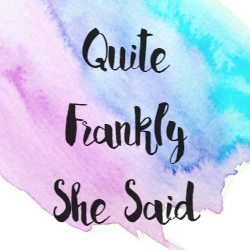 One of the most annoying things about the third trimester of pregnancy, for me, is how uncomfortable I feel all the time. Especially this time round. I think it is my body's way of saying "stop, no more babies please!" Ian is constantly asking if I am okay because I am so restless and fidgety as I try - and fail - to get comfortable. 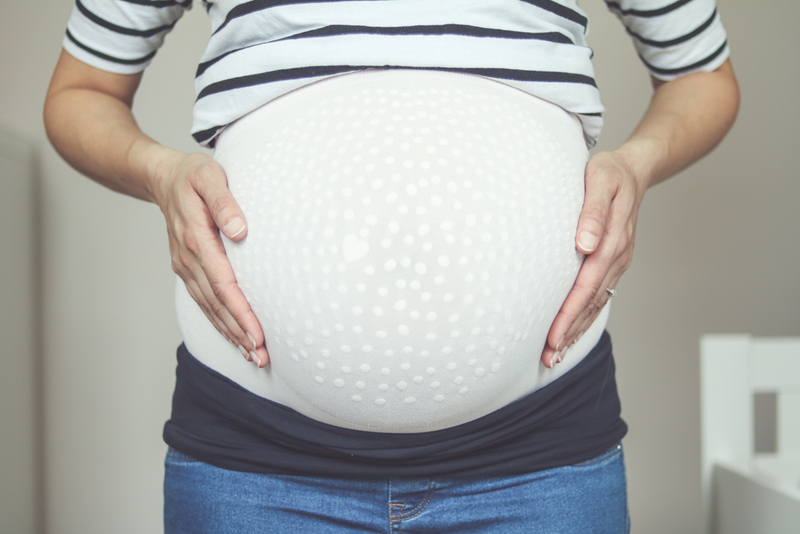 I have found a few tips and tricks that can really help so if you are pregnant and struggling to get comfy then do read on!